The Michigan road trip. A time for family, a time for friends. A time to get out of the city and take in the wealth of beauty around us. A trailer jerry-rigged with ATVs. A crying child at a rest stop. A ribbon of orange barrels ever-reaching just beyond the horizon. And somewhere in between that first regrettable meal at Cracker Barrel and the awkward eye contact made with a trucker peeing in a Gatorade bottle while stuck on I-75, we find it. Our escape to the sand and fudge of some Great Lakes tourist town or an empty forest where the simple pleasures of gasoline and a campfire mean you can be as redneck as you want. That’s Pure Michigan... and that’s why we made this list of places you need to visit this summer. Note: they’re not all in Michigan, lest you think we're in bed with the tourism board or something. Why it made our list: 1) Because you didn’t expect it 2) Because you maybe haven’t heard of it and 3) Because when you’re this close to the exotic, one-of-a-kind land that is Southwest Ontario, you just can’t pass it up. 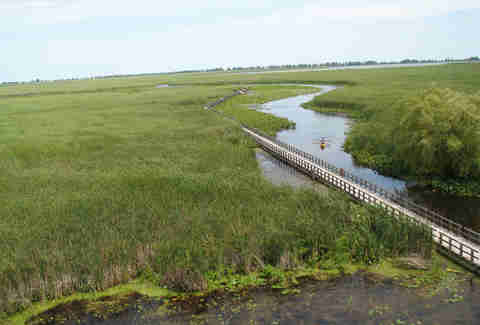 Nah, but seriously, Point Pelee is (locally) your best bet to have some outdoor fun on Lake Erie. It’s also in Canada! CANADA! That’s a whole different country! So on your way to/from the states, grab some Italian or Middle Eastern or British food in Windsor. 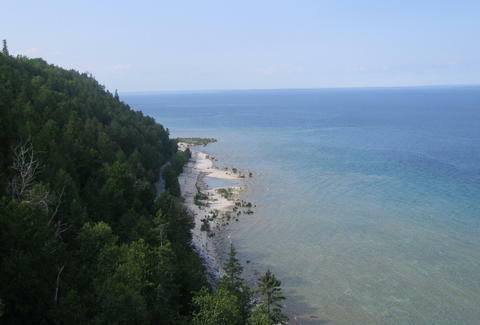 Pro tip: If you have more time on your hands, extend your Canadian adventure North to the undoubtedly "quaint" town of Stratford, or head up to the Bruce Peninsula -- which is like Pictured Rocks in the U.P., just the Canadian version. 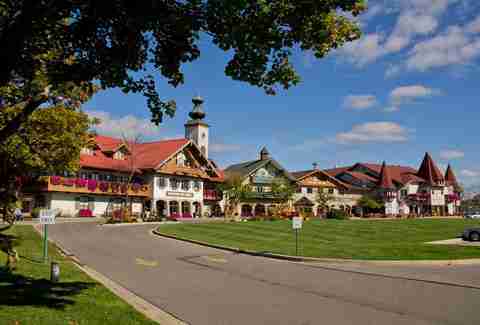 Why it made our list: Frankenmuth, aka Michigan’s Little Bavaria, is one of those places that’s just far enough to feel like you’ve actually gone somewhere, but can easily be traveled to in a day. And sure, the average age of those who typically visit is like 120, but there’s Wiener schnitzel, beer, Tony’s I-75 Restaurant with epic proportions, and you can get all chickened-up with a classic chicken dinner at Zehnder’s or the Bavarian Inn Restaurant. Of course, there’re also plenty of sweet deals to score at the Birch Run outlets. Pro tip: If you’re shopping at Birch Run, skip the fast food and eat at Victor and Merek’s Deli Bakery and Pizzeria. The sandwiches and pizzas are top-notch. Why it made our list: It’s a brewery, foodie, West Michigan paradise. For breakfast, go to Crow’s Nest. For dinner go to Food Dance; and for drinking (which is the real reason you’re coming here, anyway), head to Bell’s Brewery, Arcadia Brewing Company, and/or the Kalamazoo Beer Exchange. Pro tip: Since you already have beer on your brain, stop at Dark Horse Brewery in Marshall, Michigan, conveniently located off of I-94. Take a tour of the brewery, eat lunch... you won’t regret it. 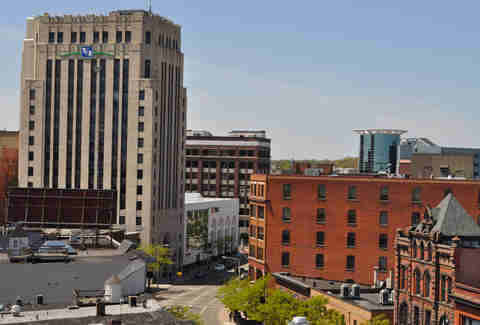 Why it made our list: Much like Kalamazoo, Grand Rapids is a very good place for eating and drinking. Specifically, at Founders, Marie Catribs, and Grove. 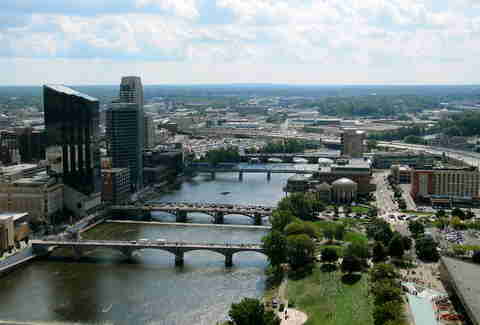 The whole artsy and outdoorsy scene is killer too, what with the Frederik Meijer Gardens and Sculpture Park; the Grand Rapids Art Museum; and, if you’re headed there in the fall, ArtPrize.... just go with the knowledge that everyone else is going then, too. Pro tip: Do NOT get half a sandwich at Founders. You’ll want to eat the whole thing eventually. Why it made our list: The only national park in Michigan is Isle Royale, and that’s ten hours -- plus a boat ride -- away. 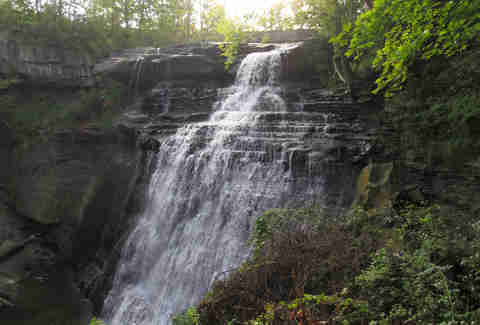 Cuyahoga Valley National Park might be in Ohio (ugh, Ohio) but its close and it has waterfalls, a scenic train ride, and terrain that isn’t completely flat (ugh, like Michigan), which means it’s worth hiking and exploring. Pro tip: Pick up a park map when you get there and ask a friendly National Park Ranger to direct you to your preferred activities. They’ll (likely) be happy to point you in the right direction. Why it made our list: Name a publication. USA Today? Detroit Free Press? Chicago Tribune? National Geographic? Yeah, they’ve all shown Saugatuck some love, including it on lists like "10 Best weekend escapes in the U.S.A." and "7 Adorable Michigan Lake Towns." They got it right. Saugatuck is the quintessential Lake Michigan beach town. 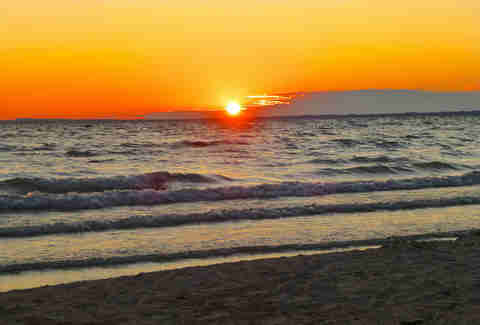 Get coffee/breakfast at Uncommon Coffee Roasters, hang out at Oval Beach, and get sandy at Saugatuck Dunes State Park. Pro tip: Everyday People Cafe and Marro’s Italian Restaurant are some local food favorites. For beer, there’s Saugatuck Brewing Company, and the New Holland Brewery is a mere 20 minutes away in Holland. Why it made our list: Camping, sand dunes, miles of Lake Michigan shoreline. Silver Lake State park is another fine place to get your Great Lakes beach fix, and if you have your truck, Jeep, ATV, or dirt bike, it’s also not a bad place to tool around for a while. Additionally, Ludington’s not too far North, and that means more beach, more boats, more water fun. Pro tip: Rent a dune buggy. How often do you get to rent a dune buggy? Why it made our list: Because of Sleeping Bear Dunes, wineries like Black Star Farms in the Old Mission Peninsula, and cherry everything. TC is where you go when you want the best of both worlds -- scenic Lake Michigan beach time AND tasty tourist delights. For eats, you’re going to want to head to Trattoria Stella’s, the Cooks’ House, and probably the Grand Traverse Pie Co., because that’s pretty much mandatory. It’s no wonder the place is Mario Batali-approved. Pro tip: If you’re doing the wineries, be sure to check their hours and their tasting fees before you go. Why it made our list: Could you imagine if we didn’t put this on the list? It’s a Michigander rite of passage to park your car, hop on a ferry, take a picture of the bridge, bike around the island, eat too much fudge, and recognize how much better life smells now that the world doesn’t get around by horse-drawn carriage. Pro tip: If the touristy thing quickly becomes too much for you, get a map, hop on that rental bike, and go exploring. There’s a lot more to ride than just the loop around the island. 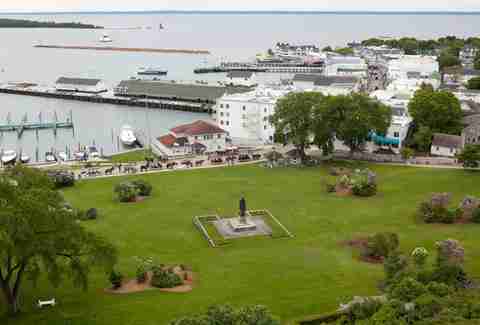 Why it made our list: We would have gladly put more U.P. destinations on the list, but we had to draw the ol’ "within driving distance" line somewhere. For us, that was about five hours, thus, Tahquamenon Falls is the most notable site within the parameters, and in addition to the "Pure Michigan" beauty of the state park and its falls, you also get Tahquamenon Falls Brewery, which offers delicious whitefish dinners and half-gallon bottles of microbrews to-go. Pro tip: Hike the 4mi-long Tahquamenon River Trail. 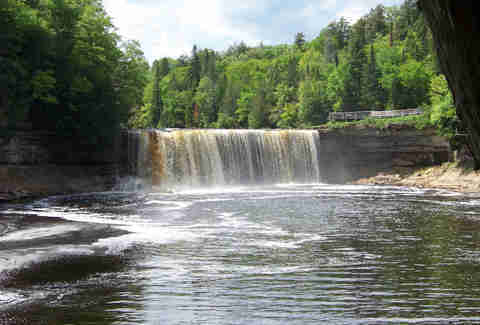 It’s scenic, it’s easy, and takes you right to both the Upper Falls and Lower Falls.